November 27th, 2017 – OnCrawl SEO solution’s 3.0 new version focuses on data set crossovers. Zoom in on what’s new. But it is also a log analyzer that allows to understand how Google and search engines behave on any page of a website, to check crawl errors and crawl rate of each robot for any group of pages, etc. Today, OnCrawl becomes an open Data Platform and allows to ingest any datasets (positions in search engines, log files, backlinks, analytics, csv files, json…) and to cross-reference them with crawl reports. The user can thus determine the impact of a set of data on his SEO performance. “OnCrawl has been working on added tons of features over the last two years but the UX was becoming messy. With the support of some of the most experienced OnCrawl users, the solution has unleashed a new UX to help SEOs tackle their SEO issues”, shares François Goube, CEO at OnCrawl. Digg into the crawl frequency to understand how much influence this ranking factor has on bots behavior. 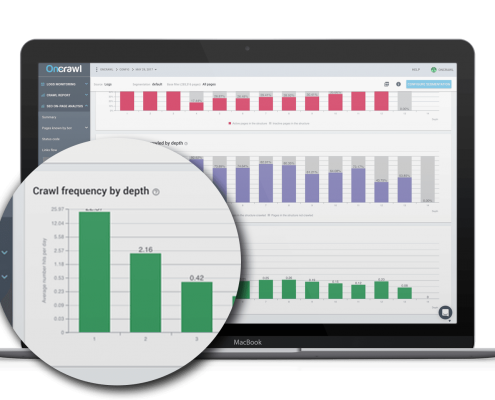 OnCrawl has added more than 100 metrics to its reports and built new dashboards. Dedicated reports are now available for all the rel=“alternate” tags (Pagination, HrefLang, Canonicals…), specific reports for Sitemap.xml, comprehensive reports for everything related to indexability. Log files analysis was perceived as technical, complicated and difficult to access. OnCrawl has taken a new step forward by democratizing this type of analysis and allowing users to easily and quickly import their log files in a few clicks. 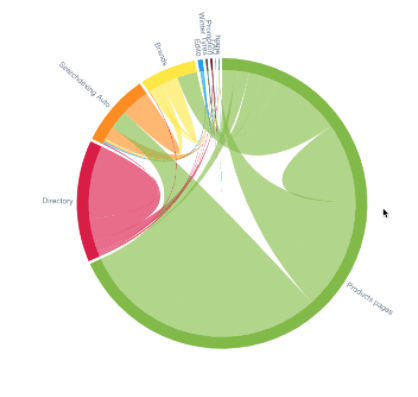 Based on a website’s segments, this data visualisation is helping to understand how popularity flows within a website and across different groups of pages. The user can even try to unselect some groups to predict how he could optimize his internal linking structure.